This educators’ association wanted a redesigned site with stronger visual appeal, and a private area where members could communicate. 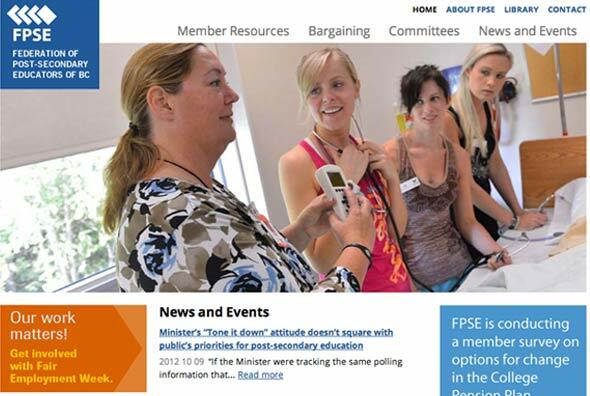 We simplified and streamlined their content, and added lots of images showing their membership at work. We also set up a login area, based on Open Atrium, where instructors and staff could collaborate and share information. 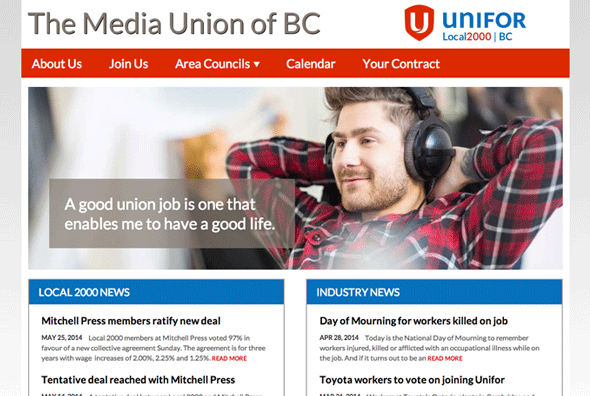 Unifor 2000 is reaching out to digital workers in BC with its DigiUnion organizing campaign. This site focuses on attracting new members, focusing on their unique needs, and addressing their concerns. 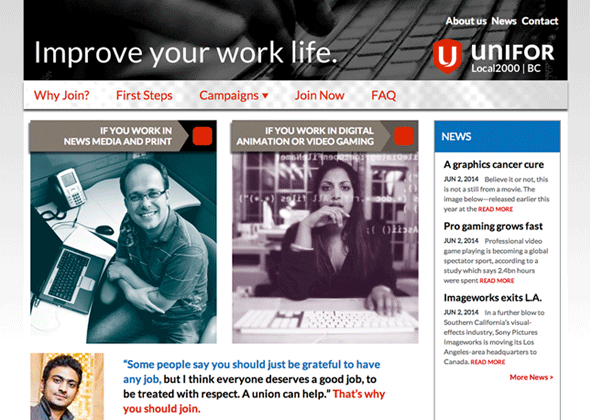 Unifor 2000 is Working Design’s union. It represents about 2500 media workers across BC. 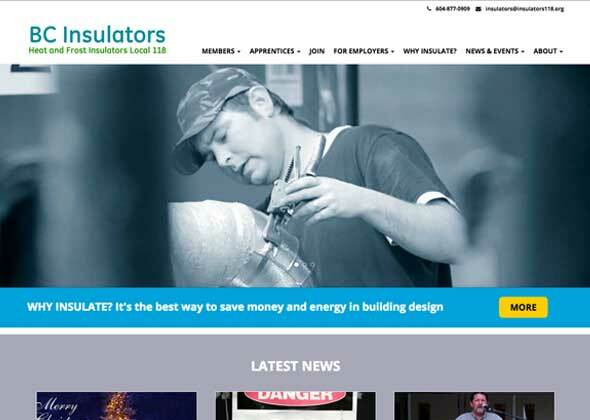 In 2014 we redeveloped this site with a contemporary and mobile-responsive theme. 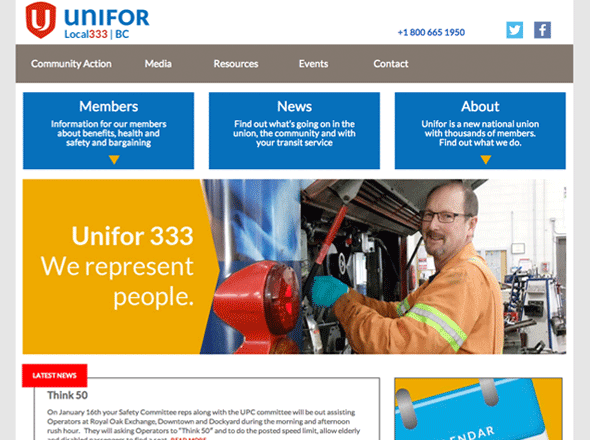 We also revised the visual identity to mesh with the look of the newly-formed Unifor national union. 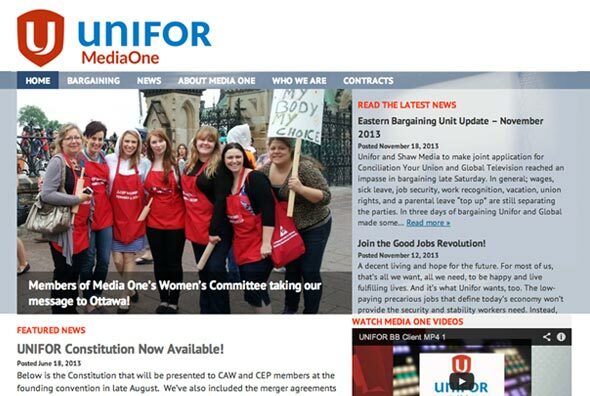 Using a simple custom-made WordPress Content Management System, the Media One site allows CEP staff to update news, post images and manage the site for the union’s 1200 members. 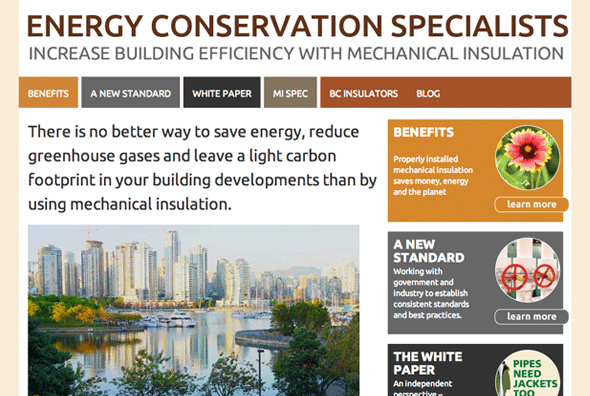 BC’s mechanical insulators’ union built this campaign to raise awareness about the environmental benefits and cost savings of properly installed mechanical insulation. 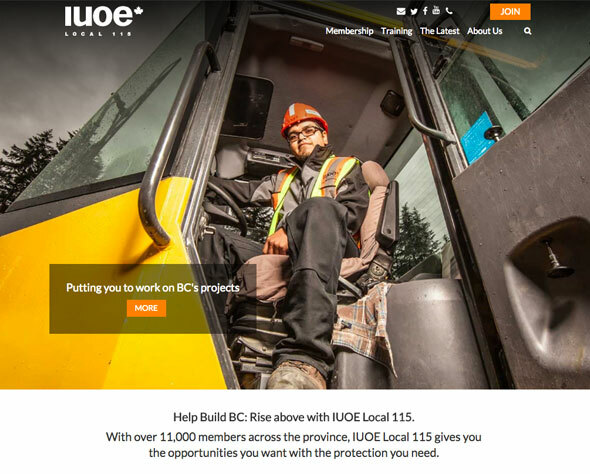 Their message is aimed at developers, other mechanical contractors, building owners, architects, engineers, politicians and senior staff at all levels of government, and the public.